Haichuan Teng was a 22-year old celebrity entrepreneur in China. China Central Television, the state broadcaster, ran enthusiastic reports about how he dropped out of high school at the age of 16 and started his own technology business in January 2014. But Teng, the CEO of Chengdu-based online peer-to-peer (P2P) lending company Boliya, mysteriously disappeared on Oct. 8, 2014. His company owed investors more than 70 million yuan ($11 million). Boliya’s unexpected failure was a cautionary tale in the “Wild West” world of Chinese Internet finance, a market that has grown so quickly that it could become China’s next bubble. Internet financial innovation is still in its infancy in the United States, where online and mobile financial services are limited to making transfers and checking balances. Internet finance firms such as online bank Simple and peer-to-peer lender Lending Club have loyal followings, but such services are far from ubiquitous. In China however, digital banking, investing, and lending have long gone mainstream. Forgot your wallet? No problem. Fire up Tencent Holdings’ WeChat app and pay for that latte. In a market with more than 740 million active mobile Internet users, mobile payments is a no-brainer. But established technology firms such as Tencent, Alibaba Group Holdings, and Baidu Inc. are also expanding their presence into a corner of Internet finance called P2P lending. P2P lending is the practice of lending money to unrelated individuals, in this context through Internet firms, which connect investors (lenders) with borrowers. Gross volume of Internet P2P lending in the first half of 2015 totaled 300.6 billion yuan ($47 billion) in China, while the same total for full-year 2014 was 252.8 billion yuan, according to Wangdaizhijia, a China-based Internet lending information website. It forecasts P2P lending to total $800 billion yuan by end of the year. As of June 30, China had more than 2,000 Internet lending platforms, a 29 percent increase from the end of last year. Tongbanjie is one of the biggest P2P lenders, with an estimated 3 million active monthly users. A rival service, Dianrong, raised $207 million in its latest financing round last week, with U.K.’s Standard Chartered Bank as a lead investor. Dianrong is led by Soul Htite, co-founder and former CTO of Lending Club. The growth of P2P lending is a classic case of supply meeting demand. China’s state-controlled banks are buckling under the weight of bad debt from loans to local governments, infrastructure investments, and state-owned enterprises over the last two decades. They’re reluctant to offer credit to consumers or small businesses, many of which are in the online or services sector and don’t have the physical collateral banks desire. This created a massive demand for credit. On the supply side, middle-class Chinese are flush with cash but with nowhere to invest. Beijing’s recent rescue of the stock market has largely been ineffective, with the Shanghai Composite Index falling 38 percent since recent highs on June 12. Many investors have pulled money out of the stock market and found Internet lending to be an alternative investment vehicle. Average annual yields for P2P lending, according to Wangdaizhijia, was 15 percent. The required infrastructure to move funds is largely in place, as Internet giants WeChat and Alibaba both have online money transfer platforms with hundreds of millions of users. Alibaba’s Alipay service has built a consumer credit bureau that’s used by many P2P lenders. Firms such as Tencent and Alibaba are deep-pocketed and have built their own credit rating process to weed out borrowers. It’s the massive underbelly of the P2P lending market that worries regulators. If the current growth rate holds, China will have more than 3,000 P2P lenders by the end of the year, most of which are small and untested. “Currently under the regulatory framework it’s a very low barrier to entry so almost anyone can open one of these platforms,” Barry Freeman, cofounder of Chinese P2P lender Jimubox, told Business Insider. A few of these platforms are fraudulent outfits without borrowers, such as Chengdu’s Boliya. Others are essentially online loan sharks charging exorbitant interest rates, while the majority cater to consumers and small businesses that may not be deemed creditworthy to most banks. Last year, users reported problems with 275 P2P platforms out of around 1,500 (18 percent), according to Wangdaizhijia. 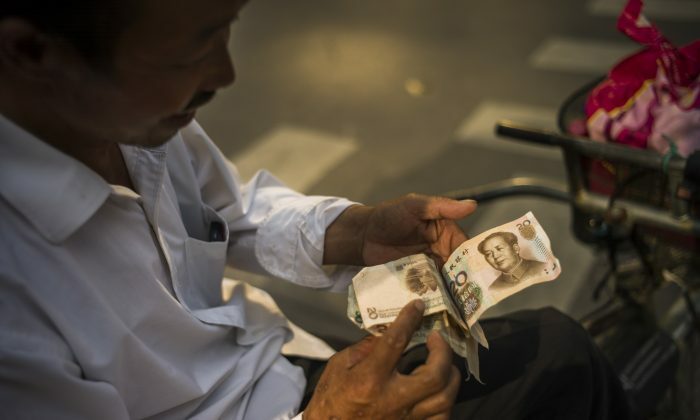 During just the first half of 2015, 419 P2P platforms were accused of fraud or barred investors from withdrawing their capital, according to Online Lending House, another website that tracks the sector. Officials are beginning to warn about the risks. An Aug. 14 editorial on Party mouthpiece China Daily recounted the meteoric rise in P2P lending platforms, from 110 firms in 2012 to more than 2,000 by the end of June, 2015. “But equally, I would not be surprised if the number actually returned to the levels of 2012, five years later,” editorial author Si Huan said.